There are so many important things happening energetically yet the focus here is on stabilizing the empathetic energy that is running through us at the moment. We have had many intense inner and outer shifts, and there are more to come, yet after massive clearing and repurposing work we have been rewarded. If we really key in, we can feel a more grounded, peaceful and earth centered attitude, toward the rock and roll of the NOW, flowering in the minds and hearts of those around us and in ourselves. There is amazing sharing, caring and grounded, real, being there for others that is taking place on our planet at this time. Through many varying circumstances, the hearts of the many are so open, Kindness is the new Religion and many are feeling the massive earth changes in their bodies. It is as if each of us become one with Gaia. As she morphs, so do we. As has been stated in many past posts, worlds are splitting. To move to and stay in the higher vibrational world, we easily attract others in that energy if we choose to have an attitude of gratitude in every moment of every day. People, places and things that pull us off our center of peace are just simple reminders that we have more to let go. Attachments do not serve us now. Control does not serve us now. We are in an intensified period where learning to manifest what we need is mandatory training. Yes, think of this period in time as a grand experiment in manifestation. We understand immediately, by outer feedback of lack, when our thoughts and emotions are not in alignment. This immediate feedback can be uncomfortable or we can see it as the great challenge of these times. We can BE the spiritual warriors we have trained to BE. So, this IS the stabilizing energy! Knowing and understanding that WE create our reality with our thoughts, emotions, actions and most of all with our alignment with the DIVINE within. Swing the pendulum! Dive in! Take chances! Create in meditation or contemplation!! Gaze into crystals. Dance in ecstatic Grace. Sing to the Divine. There is no wrong here. 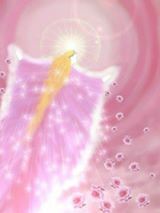 We are all in DIVINE training to be Earth Angels!!! Take up the CHALLENGE and relish it!!! Love this life with a PASSION that exceeds no bounds! Gaia is ascending and is cranky! Yet, we don’t have to be!!! We are Alive!!!! This is a grand turning point with a rare hybrid Eclipse in Scorpio sitting on the New Moon today. We received the theme of 9 on last Friday’s fourth Uranus /Pluto square. There were so many aspects and planets positioned on the 9th degree, the day itself was a nine, and this theme resonates in everyone’s personal astrology chart if you have planets hanging on the 9th degree. The number 9 explores the themes of completion, healing and invites the harvest into our lives. It is the end of a great numerological cycle that ends in 9 then reboots over and over in our lives. Bottom-line : The ancient Chaldeans believed that we live our lives by cycles of 9! Because of all this nine activity in the skies and because this is 9 year for me as well, I have done alot of research into the number nine way before the above happenings. Here is some bottom line info that may be helpful. INNER KNOWING, THOUGHT, SERVICE, HUMILITY. By respecting the Law of Love and Service and practicing humility we are turning passion into compassion. More words breaking to 9 are: DIVINE TIMING, THE HUMANITARIAN. A complete cycle of growth has been attained as we move past the number nine and we, as a global civilization, are motivated to take the next step in understanding the Self in relation to the Divine! A global graduation is happening right now!!! Let’s Celebrate!!!! 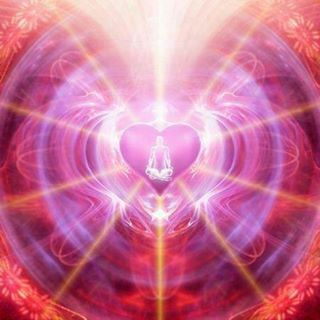 The real goal, in this evolution game, is to allow the DIVINE to work through us so wherever we are… we Radiate Love!!!! The HOPE and PROMISE of this Eclipse is to create new foundations for further growth on higher octaves.